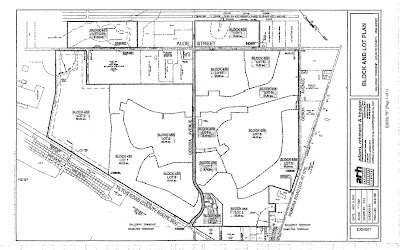 Ole Hansen & Sons, Inc and GGHLP, LLC have submitted a formal request to Galloway Township Council on November 14, 2012, requesting a zoning change to an already approved 944 unit age restricted development located on the former "Blue Heron Pines East Golf Course." The requested change according to the documents, would be to allow single-family and multi-family residential housing, as well as age-restricted housing. 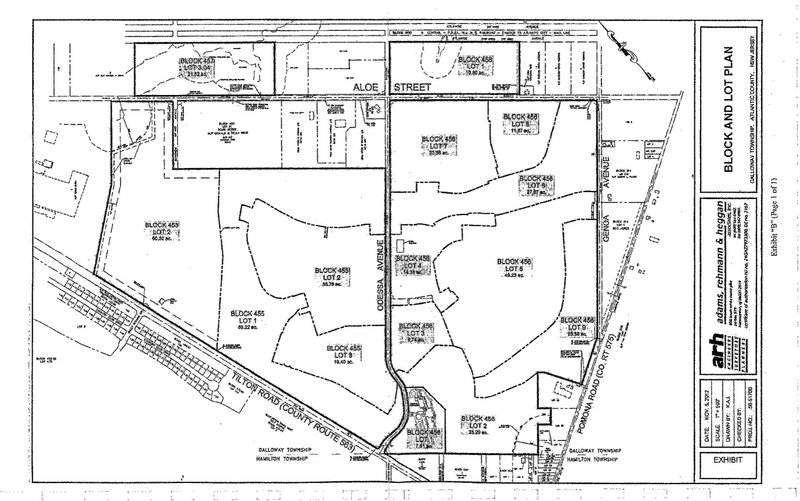 The Planning Board granted preliminary approval in 2006 for the 944 unit age restricted development. An approval that was later followed up by a "Settlement Agreement of Litigation" between Ole Hansen and the Township of Galloway. According to the Settlement, "on July 16, 2008, Ole Hansen filed a Complaint in Lieu of Prerogative Writ challenging both the Planning Board's imposition of the Recreation Condition and the Growth Share Condition and the Township ordinances giving rise to both Conditions." The current Zoning Request submitted by Stephen R. Nehmad, Esq., on behalf of Ole Hansen & Sons, does not address the Settlement Agreement Obligations. The Township may want to consider a possible amendment to the Settlement in order to meet the current economic changes in Hansen's housing request. The court invalidated the Recreation Condition and the Growth Share Condition the Planning Board imposed on Ole Hansen. Both parties settled their differences and agreed to a modified recreation and Growth Share Condition. The agreement requires Ole Hansen to pay 1% of equalized assessed value for each of the units constructed within the Project in order to comply with the Affordable Housing Provision. Ole Hansen must also pay $700 per unit towards recreation as well as provide a paved walking path, two (2) horseshoe pits and three(3) shuffleboard courts. It is unknown at this time how this Zoning request for single family and multi-family homes will not only impact the Affordable Housing obligation, but also the recreation requirements. As single and multi-family homes will populate with school age children, the recreation previously approved purely reflects those of an age-restricted development. The study reflects an anticipated 248 students would be expected to be enrolled in K-8 in the Township's school district while 117 students would be expected to be enrolled in 9-12 at Greater Egg Harbor Regional School District. In a Fiscal Impact Analysis performed by Richard B. Reading Associates on September 26, 2012, with reasonable assumptions, it is calculated that municipal operations will yield an annual surplus of $261,850 from an entirely non-age restricting housing development. The Local School District could receive $127,690, Greater Egg Harbor Regional School District $323,000 and $45,950 for Atlantic County Operations. The Planning Board previously scheduled the presentation for Thursday January 17, 2013, however, according to online published reported by the Press of Atlantic City, the presentation has now been moved to Thursday February 7, 2013 meeting at 7:00 p.m. located in Council Chambers at the Municipal Complex.